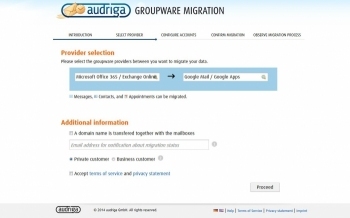 audriga Groupware Migration service allows you to migrate your data from an existing mailbox to a new one. In most cases email, contacts and calendar items are transfered. No software installation is required. 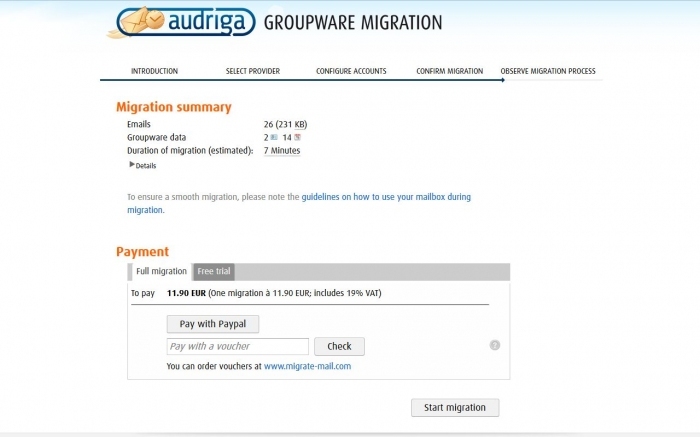 An easy-to-use web interface guides you through the setup process and provides a cockpit to monitor the migration process. Most common systems and providers are supported. 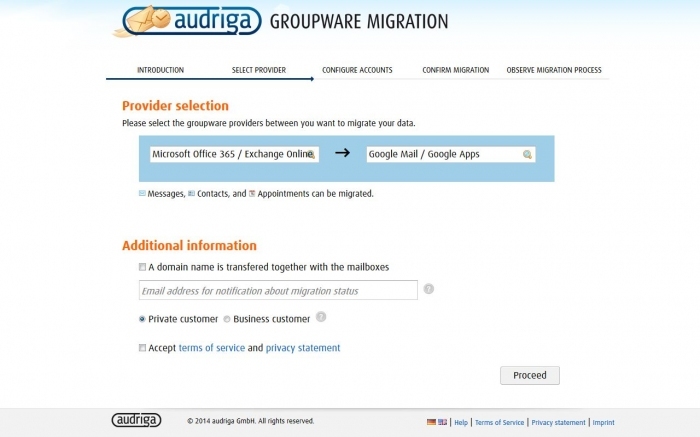 HOW IT WORKS: Using the audriga Groupware Migration service iseasyusing a webmail system (e.g., GMail). 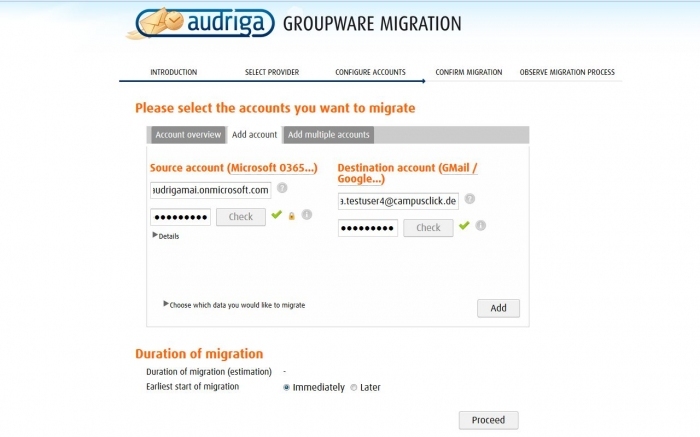 The migration process consists of three steps: your current mail provider and the new one Enter the mail accounts Start the migration and overview its progress SUPPORTED PROVIDERS / SERVERS: Many providers are supported (e.g., Gmail/Google Apps, Office 365/Exchange Online, Apple iCloud, Arcor, Yahoo!, 1&1, GMX, Web.de, Host Europe, domainFACTORY, 1blu, Jimdo, Rackspace, Intermedia, Strato, T-Online) and additional mail providers can be manually configured. If you host yourself we support a wide list of servers are supported (e.g., Exchange, Open-Xchange, Atmail, Courier, Cyrus, Dovecot, IMAP-UW, Novell Groupwise, Scalix, TOBIT, Zarafa, Zimbra).